BTS, the latest hotshot K-pop group, recently topped 10 million followers on Twitter, marking the first time a K-pop group had reached that many number of followers. It was also another milestone for the boy band that has used social media to its advantage. While always a powerhouse back home, it was nabbing the top social artist award at the Billboard Music Awards that propelled Bangtan Boys to international fame. BTS’ use of social media has worked to its benefit, but social media has also thrust some K-pop stars into the center of controversies, sometimes with detrimental effects on their public image and popularity. Actor Yoo Ah-in has never been one to shy away from controversies, and he became embroiled in a social media storm last week by touching on the issue of gender bashing. What started out apparently as a silly joke snowballed into a lengthy online battle in which he pointed out the absurdity of Korea’s man-hating trend, which, in turn, has its roots in what is perceived as widespread misogyny here. Many applauded his courage in speaking out on a thorny issue, but Yoo, in the process, has been bombarded with criticism ranging from accusations of misogyny to just plain attacks. A well-known psychiatrist weighed in on the matter, saying online that Yoo may be suffering from hypomania, judging by the actor’s tweets. Hypomania refers to a state characterized by constant disinhibition and euphoria. “A psychiatrist is required to study people and speak carefully, but this psychiatrist -- who I cannot tell apart from a simple attention seeker -- insulted someone by saying that he is suffering from hypomania. On top of that, he said (Yoo’s mental state) is in peril. In my opinion, the doctor must be out of his mind,” said culture critic Kim Young-sam. After the Korean Employed Psychiatrists Association condemned the doctor for a rash diagnosis, the psychiatrist issued a public apology and deleted the post. The public is split on whether or not Yoo did the right thing, but what is clear about Yoo’s online posts is that they have made the young, talented actor a target for attacks. In the past, stars kept their personal lives shrouded in mystery. For instance, the ultracompetitive nature of basketball legend Michael Jordan -- who was later revealed to have publicly bashed teammates and Chicago Bulls’ general manager Jerry Krause -- was carefully hidden by photos that showed him smiling spread by the Nike public relations team. It was the same in Korea. Up until the 1990s, it was unthinkable for a boy band or girl group member to talk about his or her love life publicly. With the rise of social media, however, more and more stars are opting to communicate via social networks and the public are now more aware of stars’ private lives as well. According to Lee Jae-hyun, a professor of communications studies at Seoul National University, a key function of social media is making personal information public. In his book “Multimedia,” Lee noted that controversy about privacy is inevitable due to social media revealing users’ gender, age, job, preferences, ideology and other information that was previously considered private. The same goes for celebrities. They no longer just mouth words dictated by their agencies, they actively write what they feel and think. Sometimes a celebrity uses social media to stand up for what he or she believes in, such as Yoo and the singer Lee Seung-hwan, who has never shied away from speaking about political issues on social media. However, contentious posts by stars can also end up embarrassing the celebrities themselves -- and can even bring down an entire group. Take for example, the K-pop group T-ara. After its breakthrough song “Roly-Poly” in 2011, the group was well on its way to superstardom when a bullying controversy -- followed by a member’s departure -- was publicized via its members’ social media accounts. T-ara has never regained A-lister status since then. Although social media can bring down stars, it can make them hugely popular as well. The multiple award-winning BTS uses social media to communicate with fans and share their personal lives. The members not only share information about music and photos, but also trivial details about their lives. One example is a photo posted by Jimin that he had taken with Jungguk. It was accompanied with a message “from where we had a meal together.” The pair also posted a photo of them goofing around while riding a bus. 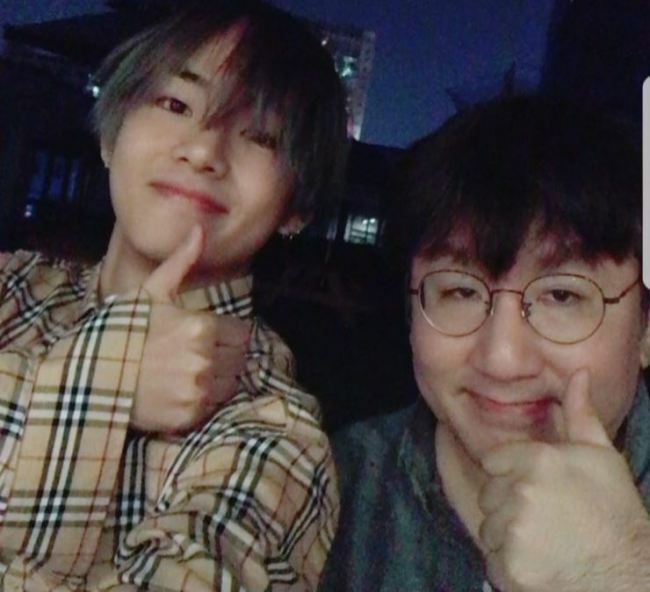 Bang Shi-hyuk, CEO of BTS’ label Big Hit Entertainment, said in a speech at the Mnet Asia Music Awards on Thursday that social media has been key to BTS’ success. “Traditional media drew a line between mainstream and nonmainstream in music. But with the rise of SNS (social networking services), the platforms have diversified, shaking up the very foundation of music industry,” he said.